IP3 SOLUTIONS - VOICE DATA VIDEO in Charlotte, North Carolina, is your single-solution provider when you have equipment issues or need emergency service. We determine where the problem is and dispatch the necessary people, even if it is not a problem with our provided equipment. That means you'll have one less hassle to worry about while running your business. 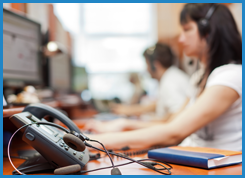 Our centralized Help Desk is a valuable technical resource for our clients using computer telephone integration. Since all of our systems are connected to the network, the Help Desk is then able to diagnose and fix most minor problems without having to dispatch a technician, which saves you time and money. Our team also provides a user resource for a quick question regarding feature operation or implementation. Most importantly, clients who are under maintenance or covered by the warranty period are not charged for remote programming changes that do not require a technician site visit. Our company stipulates a two-to-four-hour response time for all emergency calls. In an effort to best serve our customers, we maintain a large technology inventory, with critical parts always in stock. This enables us to take care of your emergency fast. Since we track actual response times for all of our service calls, we currently average 47 minutes on emergency calls. 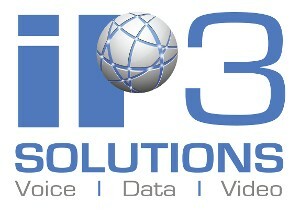 Choose a company that truly cares about their clients and sign up with IP3 SOLUTIONS - VOICE DATA VIDEO today. After each transaction with us, a client service manager will call you to ask about the service or training rendered. We will ask you to rate punctuality, preparedness, and problem solving abilities of the person dispatched to your facility. Our company then publishes these figures weekly to all of our clients as an indicator of how we are doing in the very important client service areas. Our team takes pride in the fact that we are continually in the mid-to-high nineties in our ratings.